These distillates (or fractions) need to be separated. Fractional distillation is useful for separating a mixture of substances with small differences in boiling points, and is the most important step in the refining process. The mixture of two or more substances (liquids) with different boiling points to a high temperature is heated with high pressure steam to about 1112 degrees Fahrenheit / 600 degrees Celsius. The mixture boils, forming vapor (gases); most substances go from liquid into the vapour phase. The vapor enters the bottom of the distillation column which is filled with trays or plates. The trays have many holes in them which allow the vapor to pass through. The trays increase the contact time between the vapour and the liquids in the column and this helps to collect liquids that form at various heights in the column. There is a temperature difference across the column from being hot at the bottom, to cool at the top. The vapour rises in the column. As the vapour cools as it rises through the trays in the column. When a substance in the vapour reaches a height where the temperature of the column is equal to that substance's boiling point, it will condense to form a liquid. (The substance with the lowest boiling point will condense at the highest point in the column; substances with higher boiling points will condense lower in the column.). The trays collect the various liquid distillates. The collected liquid fractions may pass to condensers, which cool them further, and then go to storage tanks, or they may go to other areas for further chemical processing. This image from http://worldenergyblog.com shows where the different fractions are siphoned off, which co-incide with their different boiling points. The feed, containing the mixture to be separated usually enters around the middle of the column. It can be in any state from a cool liquid to a superheated vapour. Liquid and vapour travel in opposite directions in the column. Liquid travels down, while vapour travels up. At each distillation stage, some of the vapour is condensed collected on the distillation tray. At the same time, some of the liquid travelling down the column is evaporated by the tray. This is the section above the feed. This is also where the the more volatile components of both the liquid and vapour are concentrated. This is the section below the feed. This is also where the the less volatile components of both the liquid and vapour are concentrated. Both the Rectifying and Stripping Stages have liquid outlets at intervals up the column which allow for the withdrawal of different distillates or products having different boiling points or boiling ranges. The overhead vapour, containing the most volatile elements of the feed, move from the top of the column to the compressor, where water is often used as a cooling media to return it to a more stable liquid state. From the condenser, Reflux is fed back into the column, travels down the column where it is reheated and the process starts again. The condenser also produces Overhead Product, which meets defined specification for a product. In the Reboiler, steam evaporates the bottom liquid, and sends it back up the column. The Bottom Liquid, contains the least volatile elements of the feed, and flows from the base of the column to the reboiler. 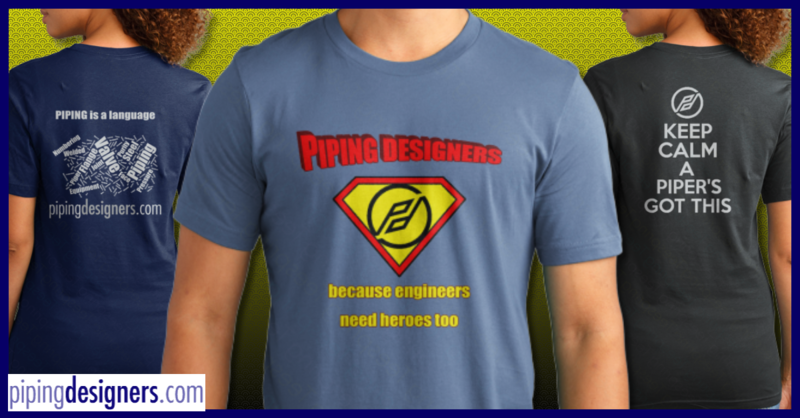 Considerations for the piping designer. 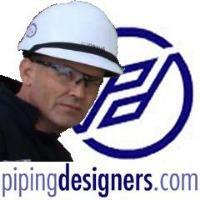 Considerations for the piping designer before starting your piping design on a Column. Minimum access, platform width, walkways and headroom requirements. Handling Facilities for the column internals, line blinds, relief valves, manhole covers. Min. line size and number and location of hose stations. Access requirements for valves and instruments. Ladder and platform position - step through or side step landings. Toe plate, hand rail and safety gate details. Tower elevations and differences in related equipment levels. The physical location of a column and it relationship to other equipment. Location of pressure and temperature connections. Diameter and height of the column. Dimensions and details of column internals. Pump, exchanger, drum drawings showing details of of process equipment adjacent to, or supported on the column itself. The terms Column / Tower, Fractionation / Distillation, Fractions / Distillates are interchangable depending on the region, project or site on which you are working. Special thanks to James O. Pennock for his superb editorial input. Bumping this discussion back up. This is an exptional article for defininng the design parameters of fractionation tower layout. My only comment is that it does not clearly state what aspects of the design the Piping designer is responsible for, it is also slightly misleading in the degree of information that is often available at the start of design. In my experience the only info sometimes available is an IFD P&ID, a process data sheet to define the tray type(s) and a Plot Plan. There is often no vendor vessel drawing available at this point. You wrote, "I believe of all the tasks a Piping Designer is asked to perform tower layout is the most complex and demanding." I agree with you 100%. There are two other articles besides this one on this website that also address Vessel Orientation. I suggest you check them out. They are "Section - 8B: Introduction to Vessels and Vessel Orientation" and "Section - 8C: Vertical Vessel Orientation". This would be a good place to add any thoughts or experiences you might have regarding Distillation Tower Piping.